When Joseph Pilates wrote “Your Health” in 1934 the world was a different place from the one we know now (or, at least, the Western world was). The majority of people would have lived less sedentary lives. Whilst work for many was physically hard, it appears that lines between work and leisure were much less blurred than they are now (e-mail, anyone?) Industrial food giants were largely a twinkle in the eye of their founders and real food, as opposed to food products, would have been the standard. Wheat looked very little like the Frankenstein’s monster of a grain that it is now, and CAFOs (‘concentrated animal feeding operations’) were a couple of decades away. Ancel Keys wouldn’t succeed in demonising saturated fat for another 25-30 years (and, in the absence of CAFOs, animal fat would have been less potentially sinister anyway). The list of health related differences could probably go on for a while. In short, I suspect that it was a little easier for people to be responsible for their health then than it is now. What of it? Well, a couple of years ago I was at the house of a client who had a business associate visiting (both American). There was an American news channel on the television, with a discussion of Obama’s universal healthcare policy underway. My two companions were clearly of a Republican persuasion, and vigorously opposed to this socialist notion. As a European I found it utterly bizarre that anyone could be opposed to something that I have taken for granted for my whole life. I’ve lived and worked in the US, and experienced the surprise of being asked for my credit card details, in the ER, whilst trying to staunch the bleeding from a sizeable wound. I’ve also seen people of apparently limited means handing over large sums of cash in the pharmacy for their monthly prescriptions. How could this be reasonable? More recently I’ve started to question my knee-jerk position on universal healthcare. I suspect that the Republicans mentioned above are opposed to the idea for financial reasons – I don’t know the details (apparently the ‘Obamacare’ bill runs to more than a thousand pages, so perhaps no one does) but I can imagine that there are potentially lost profits somewhere in the system. There’s little prospect of me profiting from privatised health care, beyond teaching Pilates, so I’m not concerned by that. What I am uncertain about is the degree to which our system allows us to imagine that, collectively, GPs; surgeons; nurses; physiotherapists; pharmacists etc. 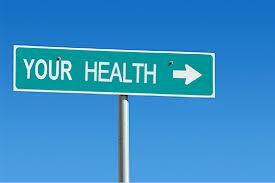 are responsible for <strong>our</strong> health. We can afford to fail to take care of ourselves, and make poor choices, because there’s a broad safety net of health professionals that are obliged to try to fix us. Clearly not a good recipe for personal responsibility. If we all knew that there would be financial consequences for the poor lifestyle choices that we make wouldn’t we be much more likely to make better choices? The problem is that the ship of personal responsibility, in this regard, sailed a long time ago. Even if this isn’t you, I bet you know plenty of people who will seek a pill for any ailment, take antibiotics for a cough/cold, or go to their osteopath/chiropractor/physio to get ‘fixed’ if something hurts. If you’re a Pilates teacher I’d be amazed if you have not been asked for a remedy to some physical ill. Governments try to protect us from the evils of tobacco, and, to a lesser degree, alcohol, and we justify huge rates of duty because these lifestyle choices place an extra burden on public healthcare. If you manufacture cigarettes you may not advertise your products, because we know all about the health risks associated with your product. However, we enjoy no such protection from the promotional efforts of the corporations, some of whose products purport to be healthy. Nestlé are free to advertise breakfast cereal made with ‘healthy whole grains’, Tropicana are equally free to advertise orange juice, which has the same sugar load as Coca Cola (who, of course, enjoy the same freedom to promote their wares). The list could go on and on – margarine proven to lower cholesterol, sweetened drinks to improve your gut health etc etc. In these circumstances the odds seem so heavily stacked against us that personal responsibility is hardly an option. Informed choices are only as useful as the information they’re founded on. If governments and corporate giants collude to mislead us, a two-headed monster of misinformation, doing our best can easily become a recipe for ill-health. In these circumstances it seems more than ever that providing universal healthcare is an obligation. If your body were a high performance car, you’d be careful about the fuel you put in, you’d put air in tyres if they looked a little squishy. Perhaps you’d clean it often, and you probably wouldn’t park it where the risk of damage or vandalism was high. In short, you’d probably follow the manufacturers recommendations to keep it in good, if not great condition. This analogy stumbles a little in that our bodies don’t come with a manufacturers warranty, and companion handbook. However, the two-headed monster above has purported to provide one for us. ‘You break it, you pay for it’ seems like a generally appropriate maxim, and could be well applied to healthcare – you abuse and damage your body, you pay to sort it out. However, if you’ve followed the manufacturer’s instructions faithfully, surely it’s their problem?